I read with consternation the specific allegations of embezzlement against former Border Patrol Union president T.J. Bonner. I have known Bonner since before 9/11, when I was counsel in the Senate Judiciary Subcommittee on Technology, Terrorism, and Government Information under the chairmanship of Arizona Senator Jon Kyl. Representing a border state and sitting on both the judiciary and intelligence, it was Sen. Kyl who got me into border security by assigning me to investigate how two terrorists breached immigration security in the mid-1990s to almost successfully launch a terrorist attack in the New York City subway system. In a post-1993 World Trade Center world, this was serious business, but only to a few of us. During that time, I began to engage the Immigration and Naturalization Service, and with the Border Patrol involved in the initial arrest of these illegal alien terrorist wannabes, I met Bonner during that time. Whether it was at a hearing or a panel, having the head of the Border Patrol union available for discussion was always extremely helpful. 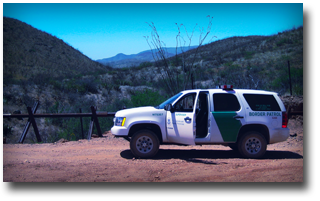 The Border Patrol, up until recently, has always been known to stand tall and apart from any political leadership, and what they wanted and thought carried much weight in Congress, no matter what their superiors said. Thus, Bonner was no minor figure. And he always seemed forthright; even when I felt he had another agenda, that agenda always aligned with protecting the interests of dues-paying Border Patrol members, about 14,000 by the time Bonner retired in March 2011. If Bonner engaged in corruption — and it seems the allegations have enough specificity to be credible — the justice system he sought to make available to his Border Patrol agents for illegal alien arrests will now make a decision on his fate. A truly unfortunate circumstance for a union that has had more than its handful of disappointments in the past four years under the current administration's dismantling of Border Patrol policies and technology innovations. What the Border Patrol needs now is a voice that was as strong as Bonner's, not a former president maligned for corruption. Bonner claims he's being railroaded by a political agenda of this administration, but only time will tell. It is true that this administration has used lawsuits to stop implementation of laws at the state level, or quiet a strong voice against them. Nonetheless, the allegations themselves are damaging. Let's hope there is a sea change for border security, and the Border Patrol, soon.